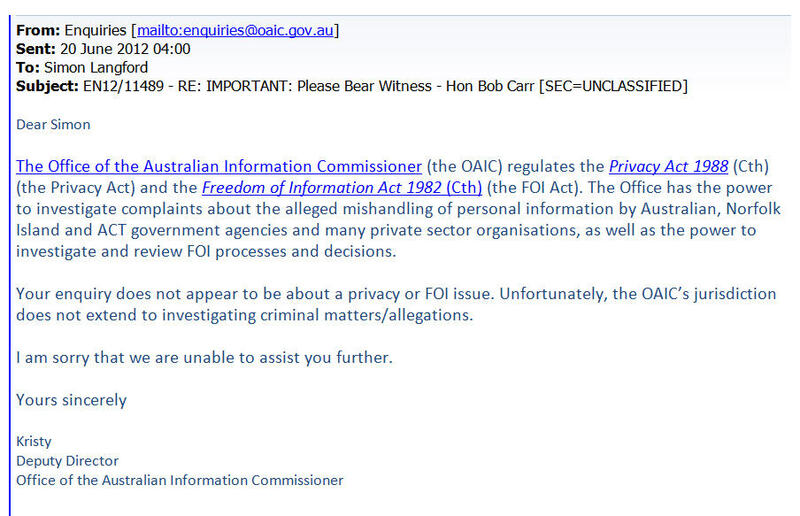 In 2012, a member of the public submitted a written complaint to the Office of the Australian Information Commissioner, the OAIC. This government agency presents itself as a guardian of citizens rights, stating, for example, that it oversees "the operation of the Freedom of Information Act 1982 and review of decisions made by agencies and ministers under that Act". An obviously frustrated Mr Langford pointed out the practical reality of this demand, particularly in the context of a hostile State position on so many other issues. 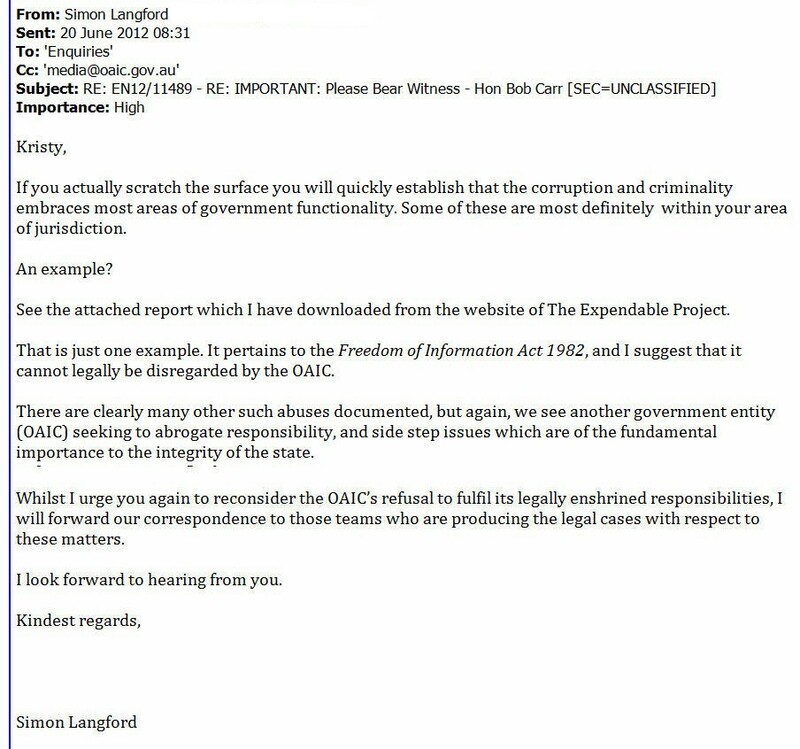 At the same time he forwarded his correspondence to The Expendable Project. 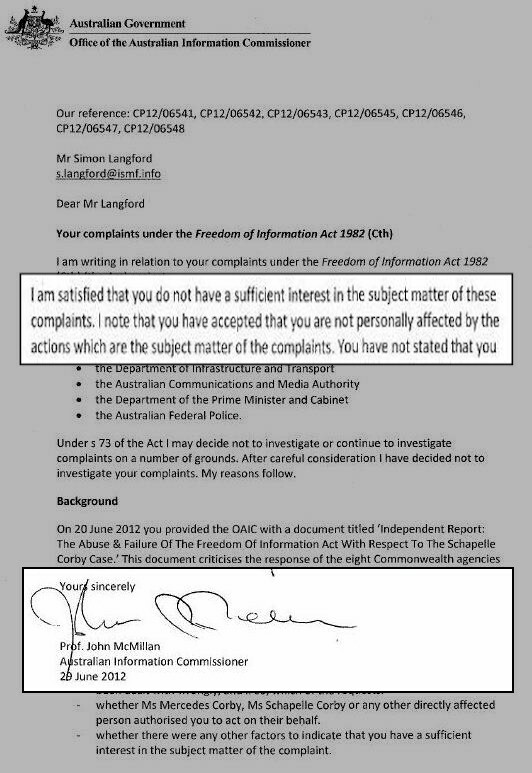 Despite this clear explanation of context, and statement of the facts of the situation, the OAIC's position was rubber stamped by the 'Australian Information Commissioner', John McMillan. 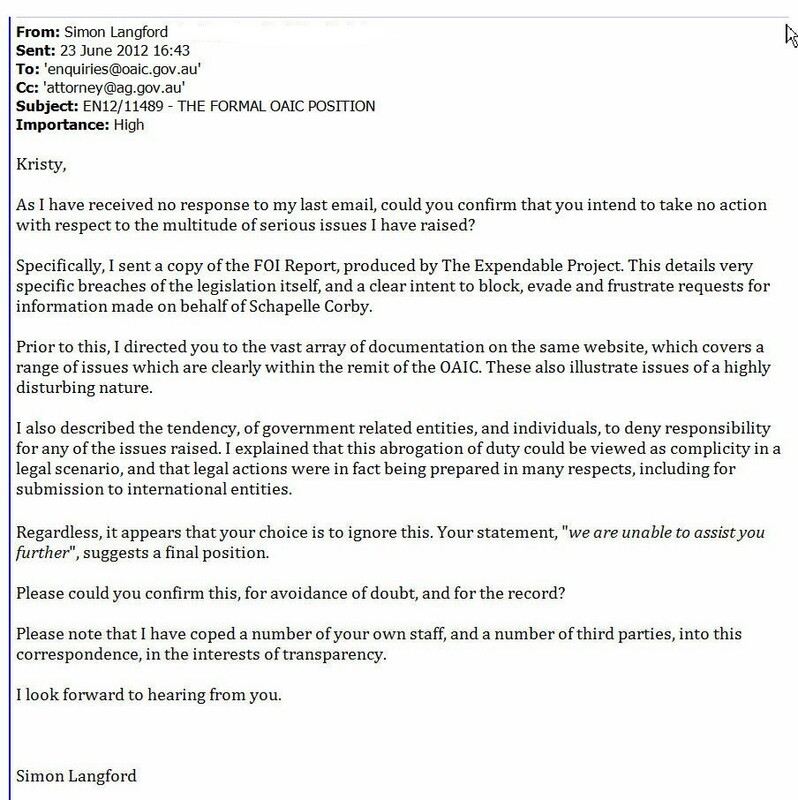 Yet another government agency, purporting to uphold the interests and rights of the public, had been provided with the opportunity to address some of the grave and disturbing matters identified with respect to the Schapelle Corby case. As with all the others, it had demonstrated that, for Schapelle Corby at least, it was a placebo.